For a limited time, Macy's has got this 4.5-quart KitchenAid Classic Plus Stand Mixer (model #KSM75SL) in silver for $199.99 with free shipping. Description: This fully-equipped, versatile tool changes everything for the chef of the house. 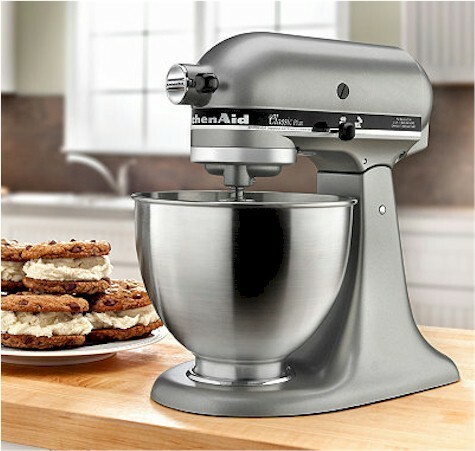 The tilt-head mixer features that classic styling you love, plus a 4.5-qt. stainless steel bowl, flat beater, dough hook and wire whip for tackling every recipe. Model KSM75SL. Measures 13.9" X 8.7" x 14.1"